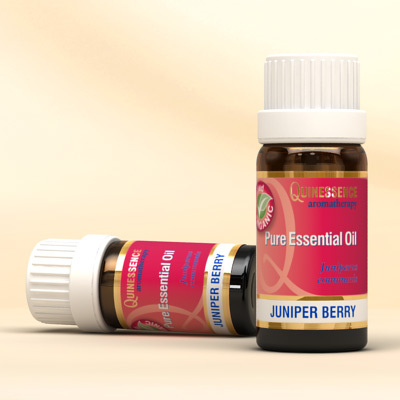 This makes organic Juniper Berry Essential Oil your first choice in the fight against cellulite, especially when it is blended together with other diuretic essential oils in massage treatments. The cleansing action of Juniper Berry Oil can also be used to great effect in massage and bath soaks for stiff joints and muscles. In skin care treatments it also acts as a tonic for all skin types. Problem skin conditions such as acne, spots, dull, oily and congested skin respond very well to organic Juniper Berry Essential Oil, where it imparts an antiseptic, astringent and soothing action. Its cleansing and strengthening action also helps clear out negative emotions such as insecurity, loneliness, sadness and guilt.